Over the last 10 years there has been much interest in the scientific community about the positive effects of a whole-foods plant based diet on heart disease, Type 2 diabetes, and even cancer. Scientific articles in reputable journals such as Nature Magazine on the BROAD Study, publications on the Lifestyle Heart Trial, and of course the groundbreaking China Study have all shown a correlation between a low-fat plant-based diet and a lowering of blood sugar, BMI, and even a reversal of heart disease. Vibrant vegetables such a beets are rich in phytonutrients. 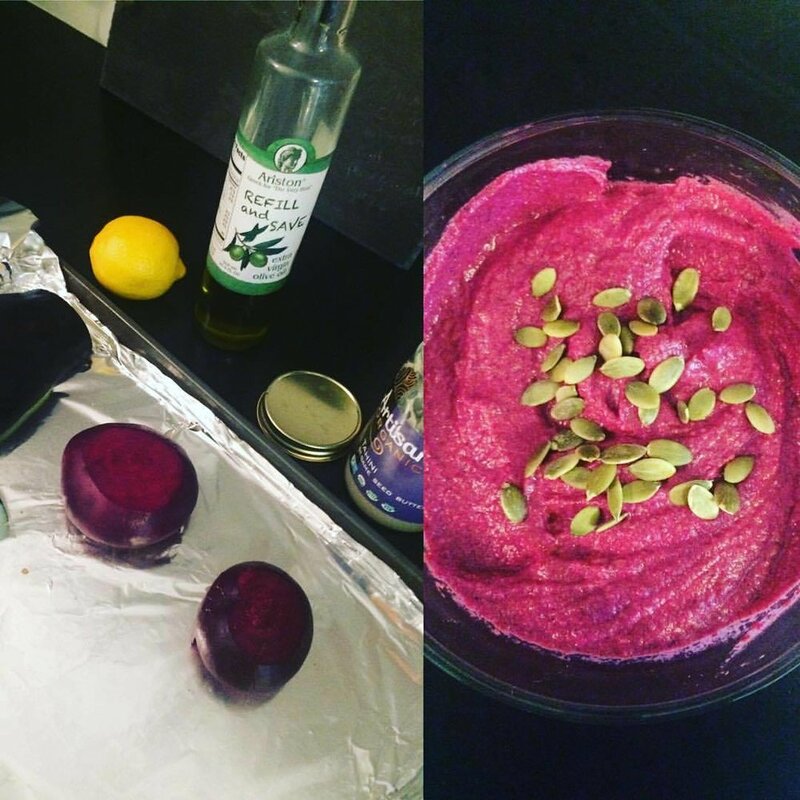 Black Bean and Roasted Beet Hummus. After a medical crisis, one's world is upended. Between doctor's appointments, follow up care, and trying to get back into a daily routine, while struggling with the after-effects, it can be confusing how to start to retake control of one's health. cook together to demonstrate how easily one can meal prep ahead strategically. Spend one chunk of time in the kitchen and eat for days! meet with your family to discuss how to incorporate your new lifestyle and "get everyone onboard"
meet weekly/bi-weekly/monthly to support your efforts to make good lifestyle choices.